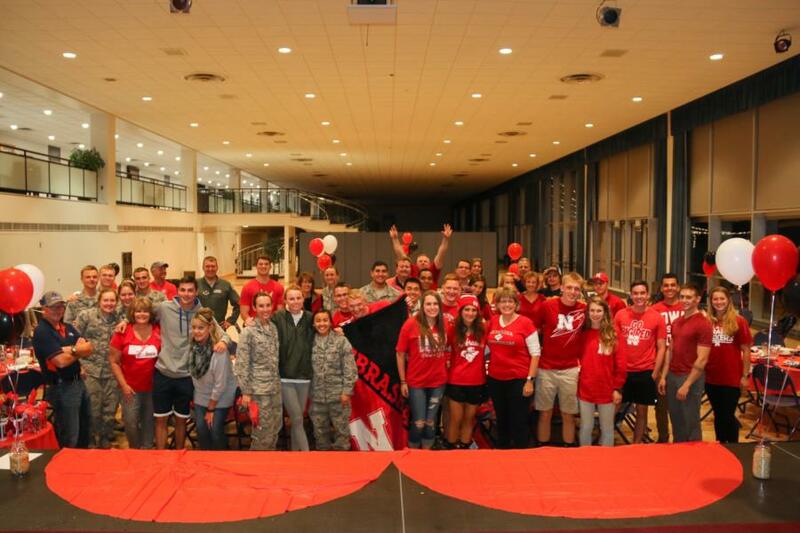 This past Friday, the United States Air Force Academy Parents Association of Nebraska hosted their 2nd Annual Nebraska Night for their 36 Nebraska cadets and their friends at Arnold Hall. 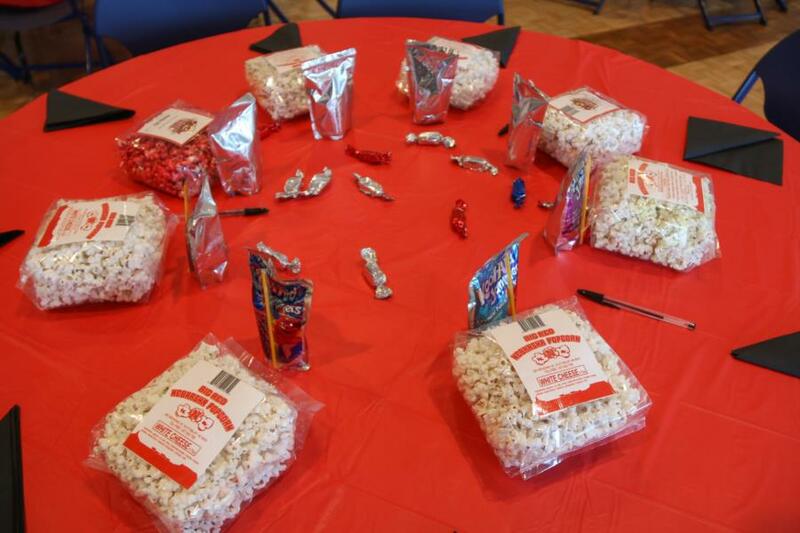 The parents club decorated the tables with items that originated in Nebraska like Kool-Aid, Bakers Chocolates, and Go Big Red Nebraska popcorn to add a little of Nebraska to every table. 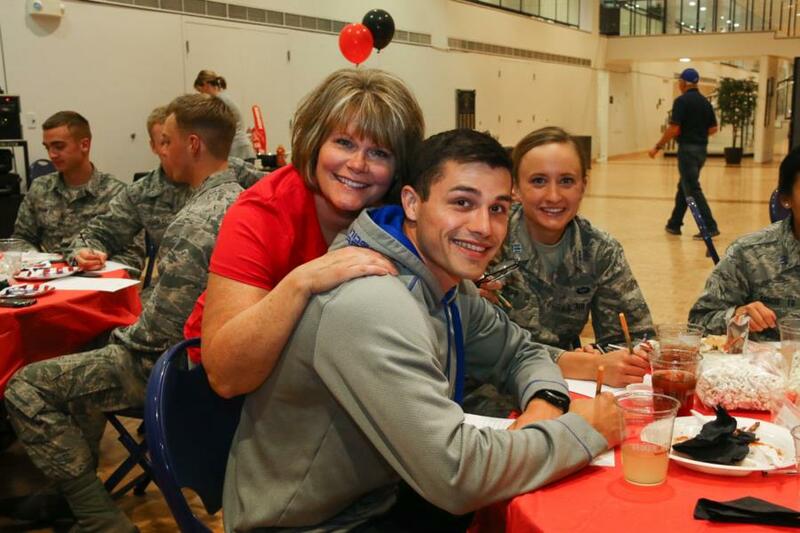 The night started off with a delicious meal from Broken Bones BBQ…well deserved after the Commandant Challenge this last week. They also had some favorites all the way from Nebraska like the Runza sandwiches, Valentino’s pizza, and Dorothy Lynch dressing! 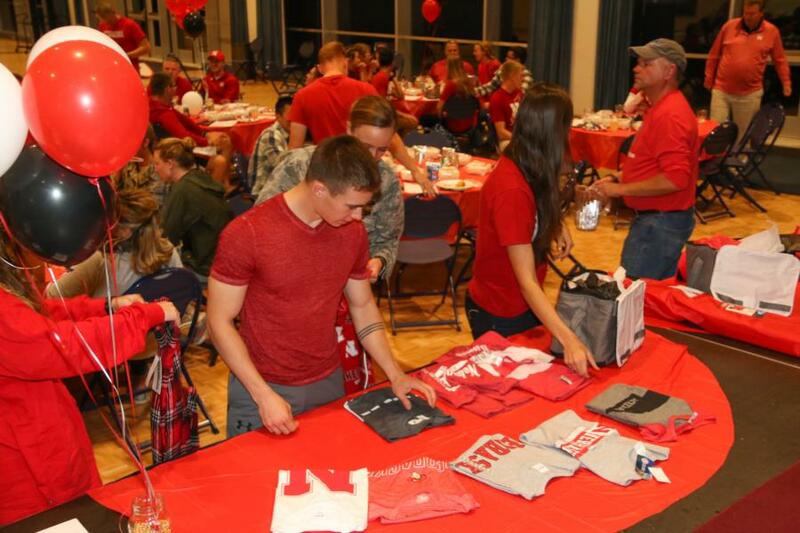 After dinner the cadets enjoyed some Nebraska trivia and Nebraska gear giveaways. 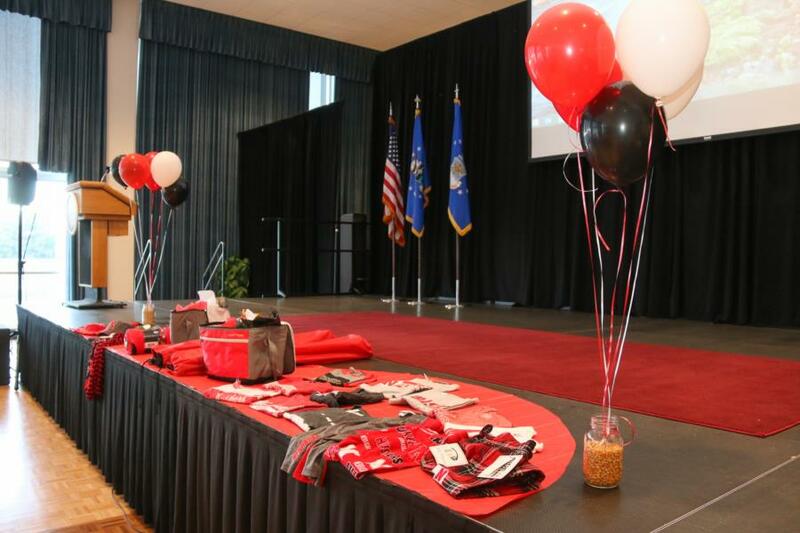 They even had a name draw where Cadets could win gift cards from all over. 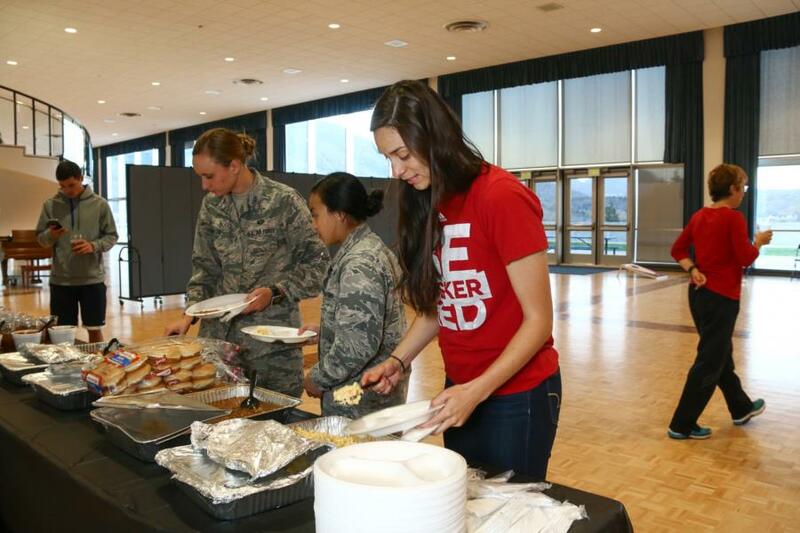 As the night came to an end, the Cadets left happy and full. Needless to say no one left empty handed. 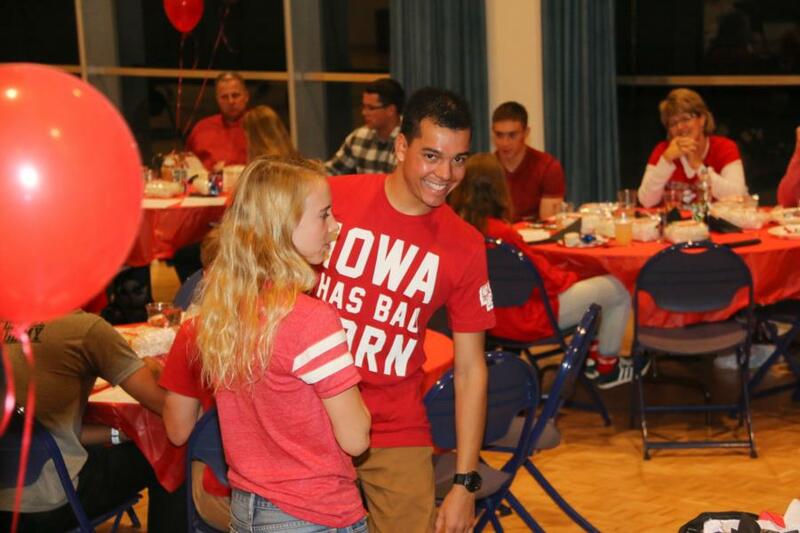 Thanks to the Nebraska parents and their generous sponsors/donors the night was a hit and truly memorable. 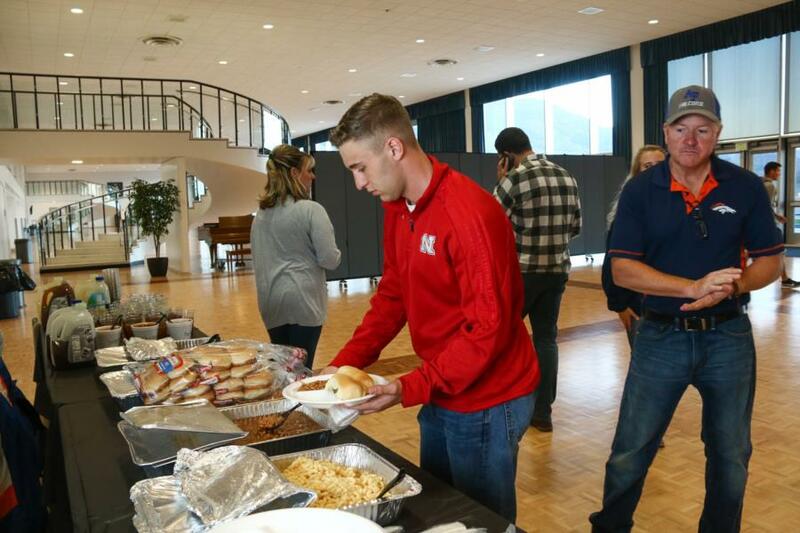 Some of their were sponsors were Boeing in Omaha, Runza from Gering & Walmart Scottsbluff, Bakers Chocolates, Valentino’s Pizza, and Go Big Red Nebraska popcorn in Scottsbluff. 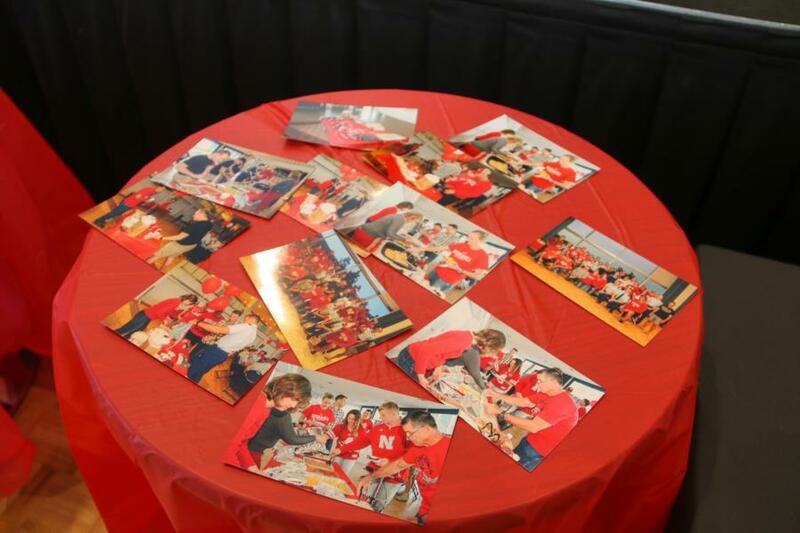 To view the rest of our glimpse into the 2nd Annual Nebraska Night go to; Galleries - Extracurricular - Special Events. Or click the link below.